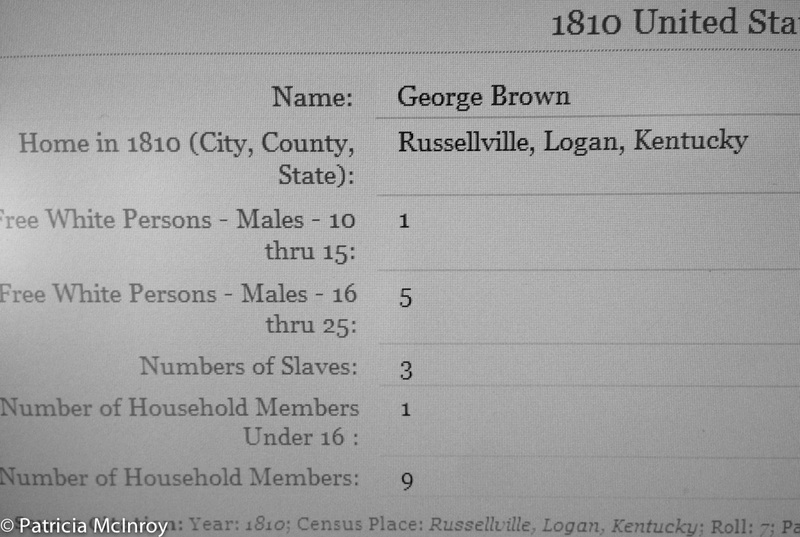 Although I wanted to find the census records for two of (Aunt) Clara Brown’s previous owners, it was also troubling. One of her previous owners was Ambrose Smith in Virginia and the other was George Brown in Kentucky. It can be challenging to trace family origins. This is true for anyone, but it is even more difficult because of slavery. 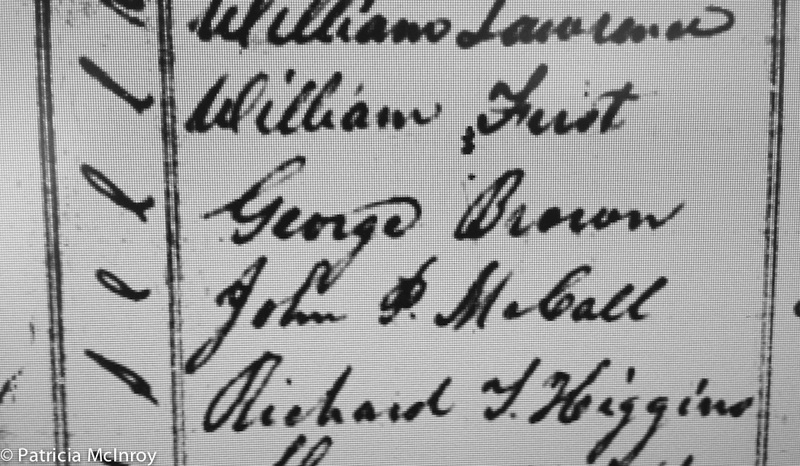 The names of people who were enslaved changed as they were sold to different owners. Another layer of difficulty is added by the fact that almost all women from the 1800s and 1900s changed their name when they got married. More difficult than the intellectual exercise and data searching is coming to terms with what it really means to have an identity or to claim one. The way that identity is stripped away in slavery has to do with reducing one’s humanity. 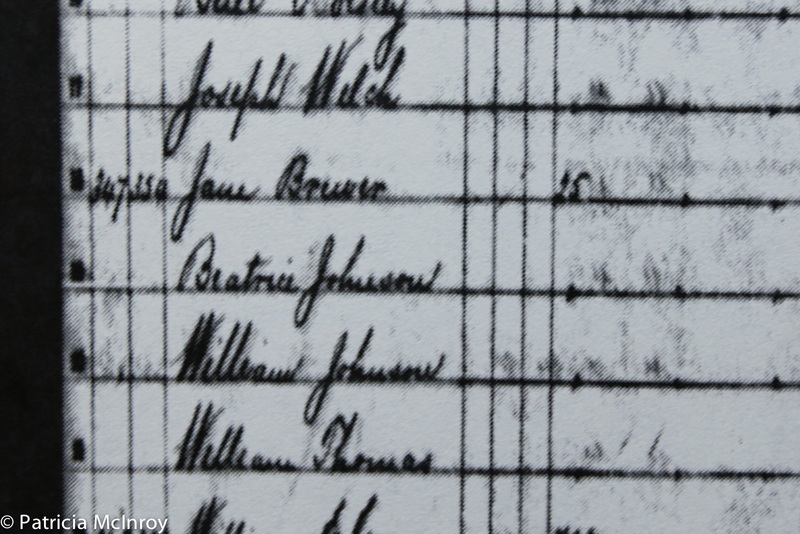 By finding the previous owners of Clara Brown, one can see how she was reduced to a number without even a first name listed on the census. Maybe the closest I will ever get to meeting (Aunt) Clara Brown was the time I got to spend with Gwen Scott, who also comes from my home state of Wyoming. Scott spent years doing educational re-enactments as Aunt Clara Brown for school children in Colorado. It’s clear that they both possess a sense of intelligence and generosity that is difficult to quantify. After getting into character so much, Scott said that some mornings she would wake up trying to remember if she was Gwen Scott or Clara Brown. But while Clara Brown never had an opportunity for education and remained illiterate her entire life, Scott has a masters degree from Denver University and is a two-time Fulbright Scholar. She was honored with the Martin Luther King Jr. Humanitarian Award in 1997. In addition to those accomplishments, Scott taught under a system of segregation and later worked to improve education in Colorado by giving workshops about diversity to other teachers. It was quite an honor to meet someone who has made such a difference in education and she also made a difference by her contribution to my documentary. I just sent off a thank you note to a very thoughtful young lady named Carly and her 4th grade classmates in Louisville, Colorado. Each student chose one famous historical figure from Colorado to do a project on. Carly did her project on Aunt Clara Brown. She said she found Brown to be “righteous” and wrote about the difficulties of walking the 600 miles or more to get to the area now known as Denver. Carly also drew this picture, copied from the only known photograph of Clara Brown. In exchan ge for interviewing Carly, I gave a talk to the class about photography. The group was full of questions and lots of laughs. Thanks especially to their teacher, Meredith Mahoney. She creates some interesting assignments for her students and was enthusiastic about sharing Carly’s knowledge. Last week I found some new information thanks to the Iowa Census data of 1885. Eliza Jane Brewer, who was the daughter of Clara Brown, is believed to have been in Denver with her mother the last few years of Clara’s life. However, no information has been revealed about what happened to Eliza Jane after Clara’s death in 1885. 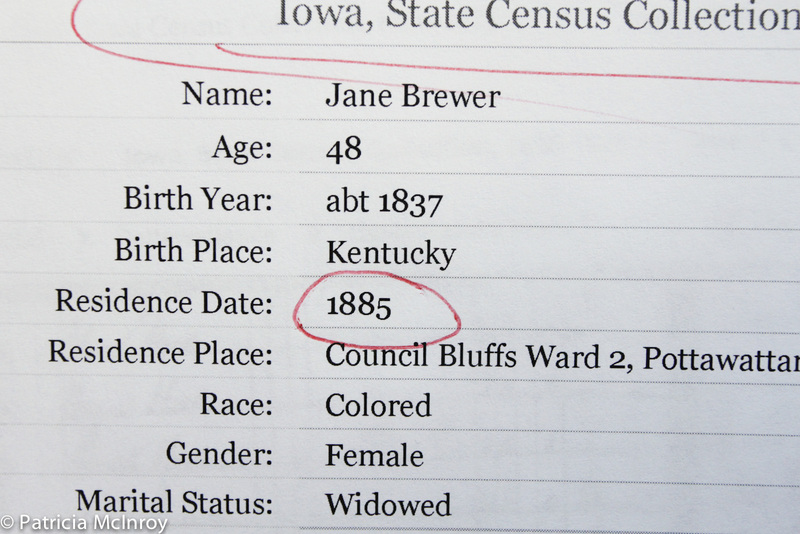 I just discovered census records showing a woman named “Jane Brewer” who would have been the right age and race was listed as living in Iowa in 1885. In addition, this woman was born in Kentucky, which would fit with Clara’s daughter. Eliza Jane Brewer was living in Council Bluffs, Iowa prior to reuniting with her mother in the 1880s and this new information could help explain why no direct descendants of Clara Brown appear to be living in Colorado. The question of what happened to Eliza Jane Brewer and children after 1885 remains unanswered. Last week I had the pleasure of visiting the Black American West Museum in Denver for the first time. My real mission was to see what information or display they might have on (Aunt) Clara Brown, but the bonus was learning so much more. The museum is housed in the former home of Dr. Justina L. Ford. She delivered more than 7,000 babies in the Denver area between 1902 and 1952. The house itself is a small miracle as it was saved from destruction and moved in order to serve its current purpose. Paul Stewart made this his goal and has made a mark honoring the Black cowboys and other historical figures who could have easily been forgotten. A couple from Omaha, Nebraska entered the museum at the same time I did. Like me, they had tried to visit at another time, only to find the museum closed. This museum runs on the power of volunteers and is now open from 10am-2pm on Fridays and Saturdays. We navigated the museum from the second floor down to the first. It features a lot of photos with interesting stories as well as artifacts and a short talk about the history of the museum and the neighborhood. At the end of the tour, we were invited to watch a documentary and we chose the one about Dearfield, Colorado. This town was the first rural African-American community in Colorado and would probably be considered a ghost town today. Another amazing story. About halfway through the film, a large group from Easter Seals came in and started their tour in a lively manner. A few of them joined us in viewing the video as well. At the end of the day, I can say that while Clara Brown was included with the notable people of Colorado, the work I am doing would add depth to that information. So I am both inspired by what I experienced and encouraged in my goal to add more to what is already there.